Because kids don't deserve all the fun (i.e. sleep). 1. A graphic top so you can show off your favorite hobby even when you're wide awake. Get it from Forever 21 for $9.03 (available in sizes S–L) or show your love with a different top from Amazon for $16.99 (available in six colors and sizes S–XXL). 2. 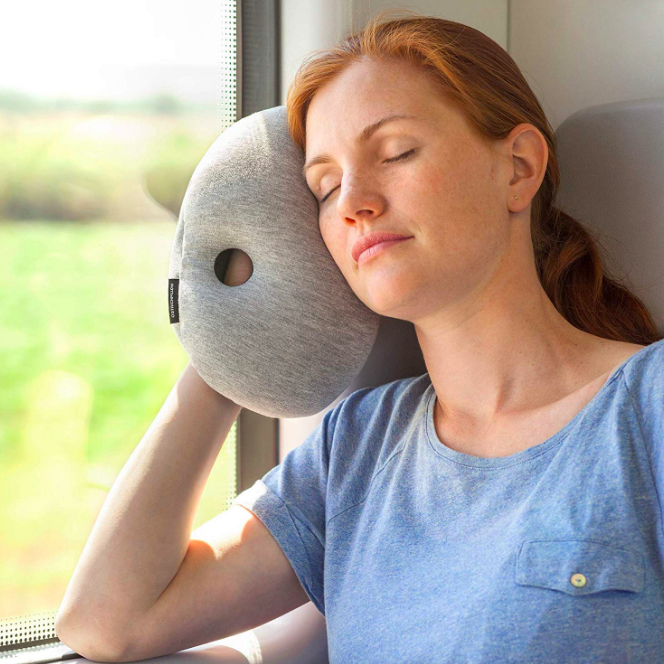 A travel pillow that'll be particularly ~handy~ when you want to sleep in multiple positions during a li'l travel nap. 3. A wall clock to show all those unnecessarily productive people that nap time should be (almost) all the time. 4. 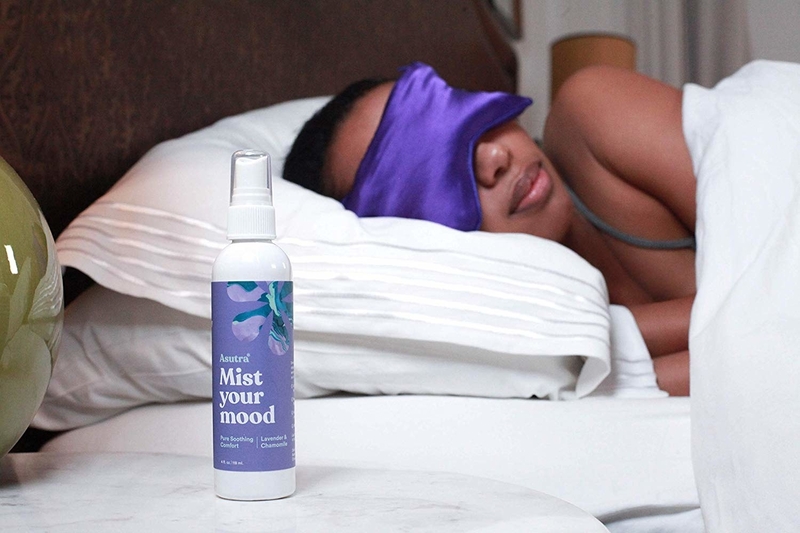 An aromatherapy spray that'll soothe your senses and help you sleep through some midday madness. Get it from Amazon for $14.20+ (available in seven scents). 5. A weighted blanket to create an instantly secure and sleepy environment — nothing can take the weight off your shoulders like weighted-blanket level coziness. Get it from Amazon for $85.90 (available in eight colors and sizes). 6. 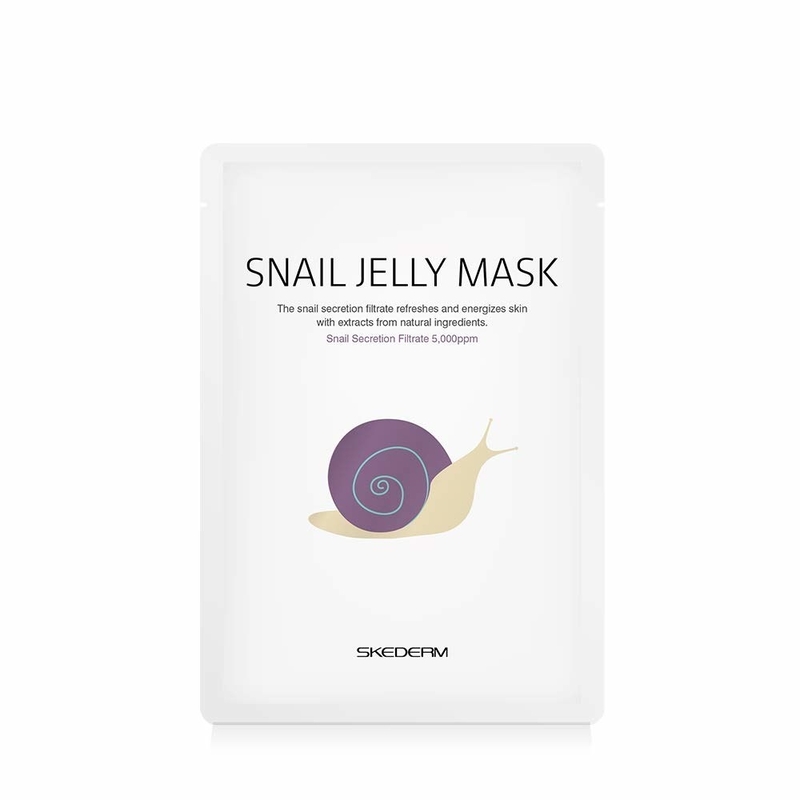 A moisturizing snail jelly face mask (made with actual snail secretions to help repair your skin) so you can make your snoozin' productive on days when you're feeling ~sluggish~. Get a pack of 10 from Amazon for $19.95. 7. A lavender and chamomile candle for anyone who wants to breathe in the scent of sleep during those moments when there's no time for actual shut-eye. Get it from Wicked Apothecary on Etsy for $16. 8. A contoured sleep mask that'll block out all the light around you so you can block out the world when you need a quick 20. Get it from Amazon for $12.90 (available in five colors). 9. 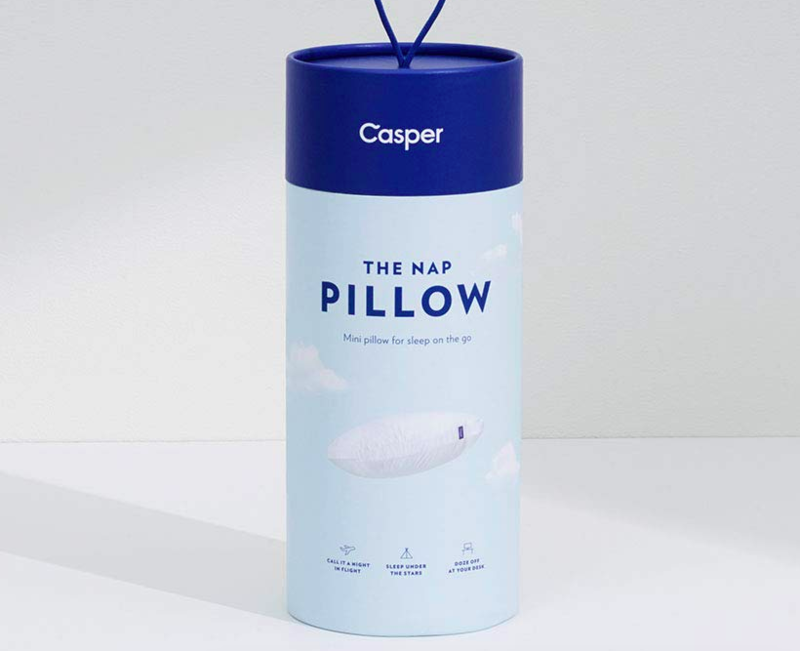 A Casper nap pillow for anyone who wants a little pillow for a little nap. If you added up every traditional pillow I've owned in my life it wouldn't come close to number of travel pillows I currently have stuffed under my bed. They're my favorite impulse buy by far. Some will never see the light of day again, some are totally great, and some (this Casper pillow included) are the reason I go on trips in the first place. This pillow is lightweight, easy to pack, and ultimately proves that there's no topping a rectangular pillow when it comes to comfort. This is easy to sleep on any way you want it and comfortable no matter where you use it. Get it and get your snooze on, stat! 10. A pair of blackout drapes – they're gonna give you the nightlife you want (when the nightlife you want is a quiet, blacked-out bedroom in the middle of the afternoon). Get them from Amazon for $17.99+ (available in 15 colors and 11 sizes). 11. A duvet set that's particularly appropriate for cat-nap fans. This set includes a duvet cover and two pillow cases. Get it from Amazon for $48.99+ (available in 12 colors and two sizes). 12. An essential oil diffuser so you can finally enjoy the sweet smell of success that comes after a successful snooze. 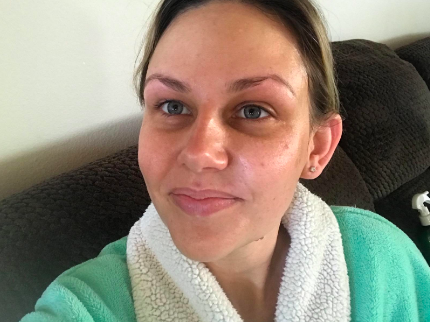 Promising review: "This is my style — clean lines, small, and it works. I find it helpful if I get stressed or if I'm having a hard time sleeping. I'm very glad I bought this one." —Sally Forth! Get it from Amazon for $55.59+ (available in two colors). 13. A hooded blanket for anyone who finds getting into a situation cozy enough to actually nap in as hard to come by as an actual unicorn. 14. A soothing herbal tea that'll let you ~drink it all in~ right before you fall asleep. This box has 20 tea bags. 15. A travel-sized sound machine — sometimes the best part of a vacation is tuning everything out and taking a well deserved break from reality (and consciousness). Promising review: "We used to travel with a small air purifier to make white noise in order to get a peaceful night of sleep. This does the job even better, and it fits in my pocket. It's so easy. I also use it at home when napping. 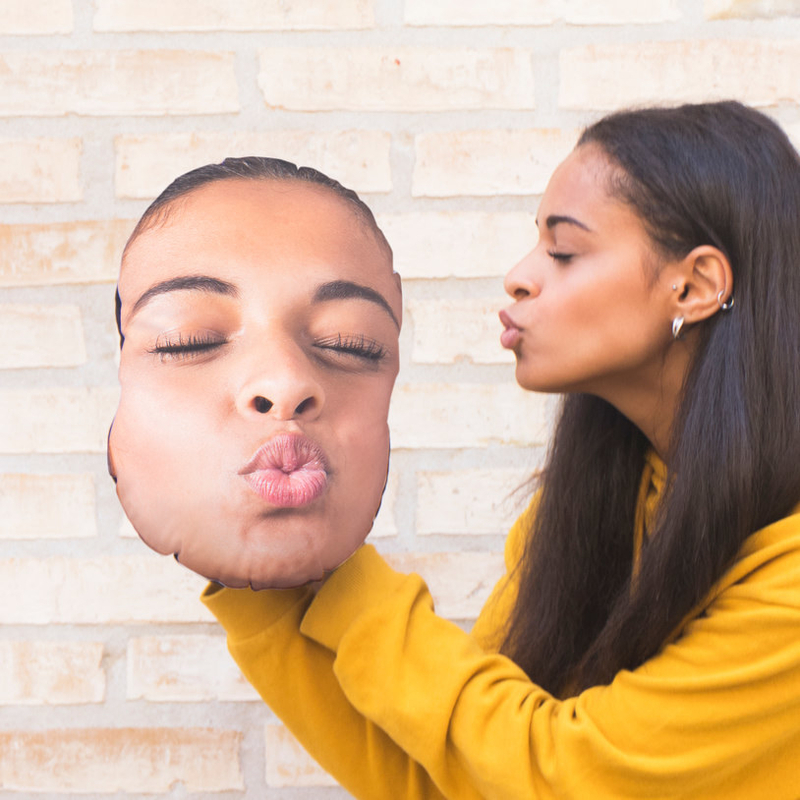 I'm so glad I found this product. I would definitely recommend it!" 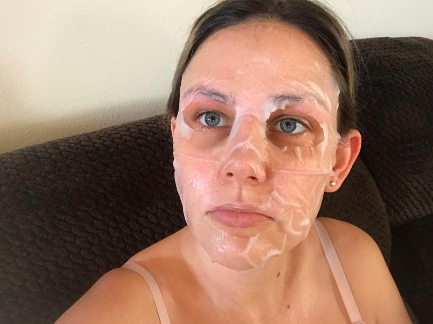 —Jennifer H.
Get it from Amazon for $17.67+ (available in two colors). 16. 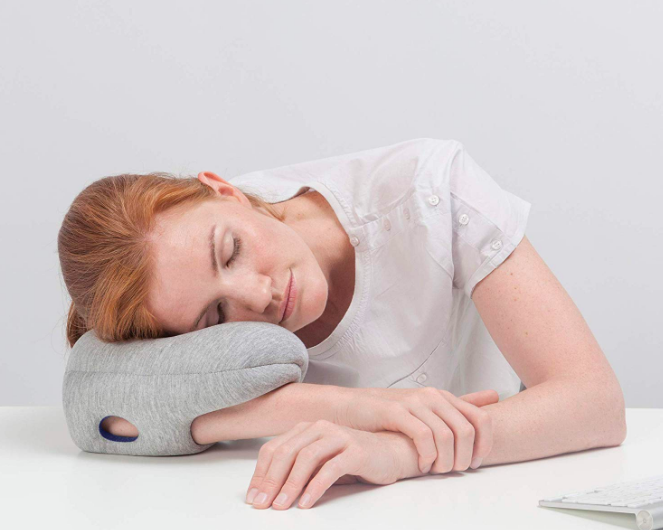 A heated bread pillow for anyone who would be ~toast~ without their afternoon nap. This li'l toasty treat heats up using a USB cable (provided) and can stay warm for up to four hours! 17. A power nap spray so dreamland can be just a spritz away. 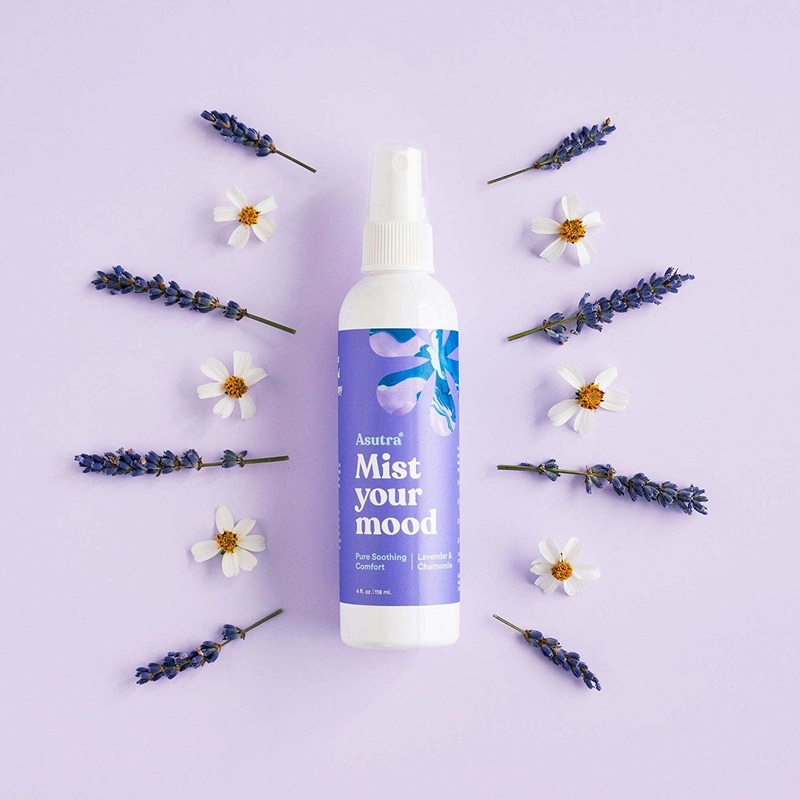 Get it from Anthropologie for $42 or get a similarly soothing lavender spray from Amazon for $14.20. 18. A print for people who have the right ~frame of mind~. Get it from Preppy Print Shop on Etsy for $12+ (available in four sizes). 19. 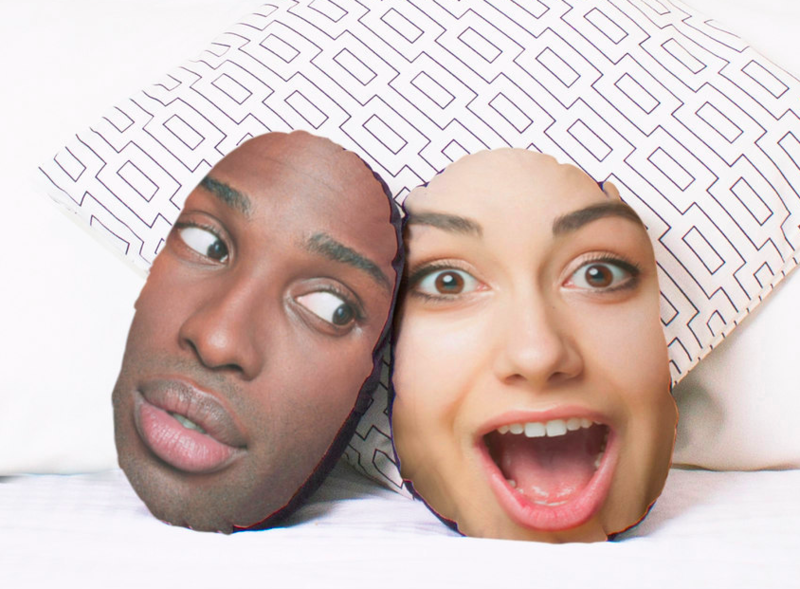 A personalized pillow, because the only face you'll want to see during your nap is yourself. All you need to do is upload a photo and, you know, pay the man. After that it takes a few days to make, 14 days to wait (on international orders), and then you'll have a lifetime of happy naps! 20. A calming hemp patch you can throw on yourself right before you throw yourself on the couch. Get it from Free People for $12 (available in four styles). 21. A little pup pin for anyone who cheers "hot dog!" whenever they find time to sneak in some shut-eye in the middle of the day. Get it from Love Soup on Etsy for $16. 22. A temperature regulating mattress pad that's gonna help you keep your cool when your mood is telling you it's time to take a nap. Or eat a sandwich. Probably both. Get it from BuzzFeed's Goodful line, exclusively at Macy's, for $26.99+ (available in five sizes). 23. A knit pajama set that's gonna ~pear~ very well with a well-deserved snooze. Get it from Forever 21 for $19.90 (available in sizes XS–L). 24. An enamel pin so you can show your support for the only club you'd join in school. Get it from Hi Howdy Hello on Etsy for $12. 25. 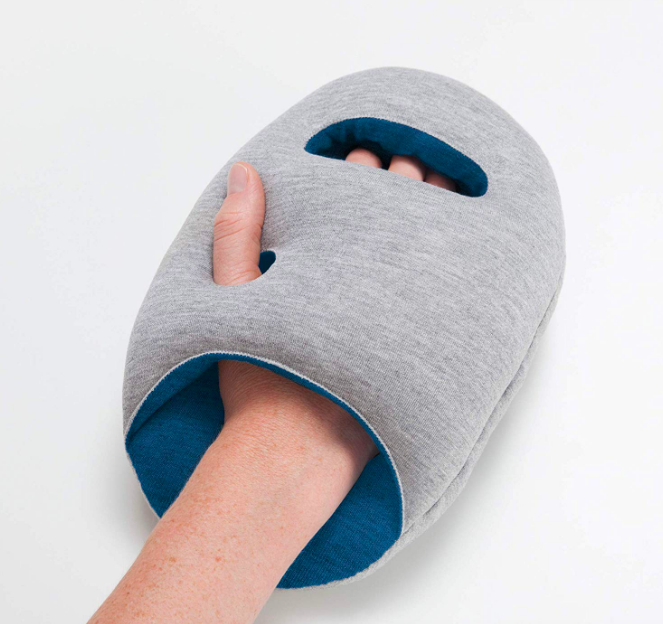 A hoodie travel pillow so you can get some anti-social shut-eye, even on public transit. Get it from Amazon for $24.95 (available in seven colors). 26. A Wonder Woman sleeved blanket that'll put the "power" in "power nap." Get it from Amazon for $19.99 (available in six styles). 27. A digital embroidery pattern to give to someone you love ~sew~ much (who may love naps as much as they love you). Get it from Jojo on Etsy for $10. 28. And, finally, a woven throw blanket that'll let everyone know what your best talent is. IRL footage of someone trying to wake me up from a nap.